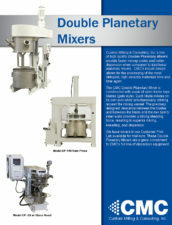 CMC Double Planetary Mixers are the ideal choice for mixing and kneading viscous pastes and gently blending shear-sensitive formulations. 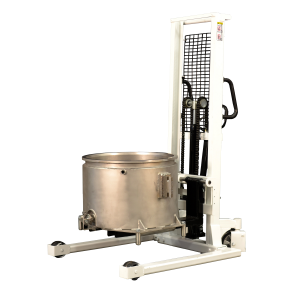 Providing a slow-speed, high-torque approach to material handling, the Double Planetary Mixer offers the capability to address a wide variety of applications and viscosities. 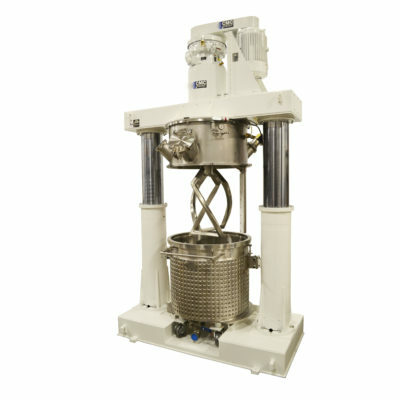 The CMC Double Planetary Mixer is constructed with a pair of open frame type blades (gate style). 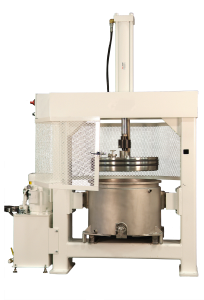 Each blade rotates on its own axis while simultaneously orbiting around the mixing vessel. The precision machined clearances between the blades and between the blade and the mix tank’s inner walls provide a strong shearing force, resulting in superior mixing, kneading, and dispersion. Various blade configurations ensure the best performance on the mixing process. Mixed materials can be discharged from the mixing tank by means of a Ram Press, which uses a close-clearance, sealed follower plate in a double acting hydraulic piston to press the materials from the tank.